Carla Edwards designs and makes contemporary jewellery from her workshop in Leith, Edinburgh. She graduated from Edinburgh College of Art in 1997 with a BA(Hons) and in 1998 with a PGDip, both in Applied Art and Design, Jewellery and Silversmithing. Since launching in 1999 Carla has supplied a wide range of outlets and exhibited internationally. Inspiration comes from a love of the natural world, pattern, colour and drawing. The small details of plants fascinate Carla and she enjoys translating elements of drawings into wearable jewellery. Pieces are influenced by sketches from her garden, walks in the woods and the famous Royal Botanic Gardens of Edinburgh. 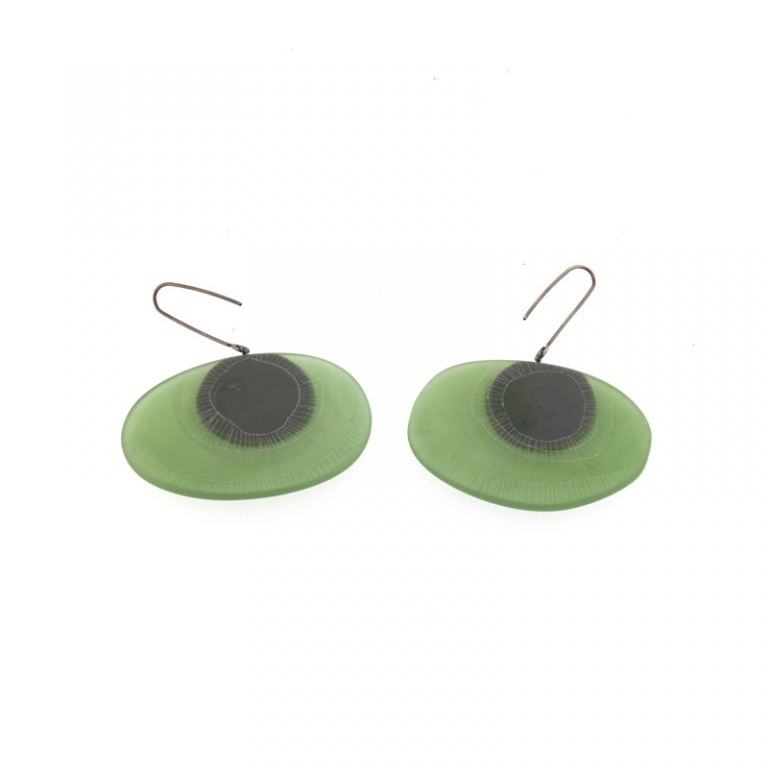 Carla combines playful shapes and colour to make quirky, often asymmetric necklaces, brooches and earrings. Using pattern and repetition of small resin and wire shapes within larger forms creates layers of interest. She contrasts these areas of pattern with bold simple forms of solid colour. Resin is used in the jewellery because of the range of colour, pattern, translucency, form and finish that can be achieved with the material. Aluminium leaf, gold leaf, silver and 18ct gold are used to compliment. Techniques used are mould making, casting, filing, carving and polishing resin. These are alongside traditional metalworking techniques such as soldering, piercing and hammering.